Adjustments to charges, prepayments, financial aid disbursements and overpayments often result in credit balances on student accounts. A credit balance is indicated on the student account by parentheses ( ) surrounding the balance. A student has a credit balance and has Title IV aid disbursed to their student account for the current semester. The student does not have Title IV aid (see above) for the current semester. The student has participated in the Nelnet monthly payment plan (current semester) and has completed all monthly payments which results in a credit balance on the student account as a result of the last monthly payment. The student has a study abroad scholarship disbursed for travel expenses. Direct deposit is available for student refunds, students please click Sign Up For Direct Deposit for directions on how to enroll. Refunds are processed after the credit appears on the student account and are processed on Tuesdays and Thursdays unless it is an official University closure. Financial aid disbursement refunds are processed after the start of classes for the fall and spring semester and three to five business days after the credit appears on the account. Credits resulting directly from a Parent Plus loan will be refunded according to the election on the Authorization form. All credit balances after the first day of class are refunded to the WFU student unless it is a Federal Parent Plus Loan, a trust payment or a return of an outside scholarship due to withdrawal. If a student/authorized party takes out a Nelnet Business Solutions monthly payment plan, no refunds can be processed until the last payment has been paid and that results in a true credit balance on the student account. Studying abroad in non-WFU programs, refund checks will not be sent to study abroad institutions on the student’s behalf. The refund will be made payable to the student. Students will be responsible to pay their respective study abroad institutions. Student Financial Services only accepts funds that cover a student’s educational expenses. If a payment is received that is not for payment of educational expenses for the current term, a student can request to either: (1) Leave the funds on their student account to cover future term educational expenses or (2) Wake Forest will return the funds via the original method of payment to the originator of the payment. Tuition & course fees are refunded to both full and part time students according to the Return of Funds Policy. Online Counseling & Human Services Programs are refunded according to the Online Counseling & Human Services Refund Schedule. Mandatory fees such as transcript, student health service fee, student activity fee and technology fee are nonrefundable after the first day of classes. Deacon Dollars remain on the Deacon OneCard until depleted or until a student graduates or leaves the University. When a student graduates or leaves the University, remaining Deacon Dollars are transferred to the student’s account and any outstanding fees are deducted. Any remaining balance is refunded to the student. Food Dollars are non-refundable. Unused Food Dollars within a meal plan carry over from week to week through the end of the spring semester and then expire. Food Dollars purchased outside of a meal plan roll over from year to year until a student graduates or leaves the University and then expire. The vehicle registration fee is non-refundable if the parking sticker has been placed on the vehicle. Wake Forest University is committed to providing students whose applications and awards are completed prior to the opening of school with credit balances from federal financial aid. If you receive a Pell Grant, which when added to your other financial aid, exceeds your University charges, we will provide you with the means to purchase books within seven days of the first day of the semester. This can be either in the form of a student refund or credit on your Deacon One Card. Please contact Student Financial Services, if your financial aid award is complete, and you have concerns about the ability to purchase books. If your financial aid award is not complete, please contact the Financial Aid Office. 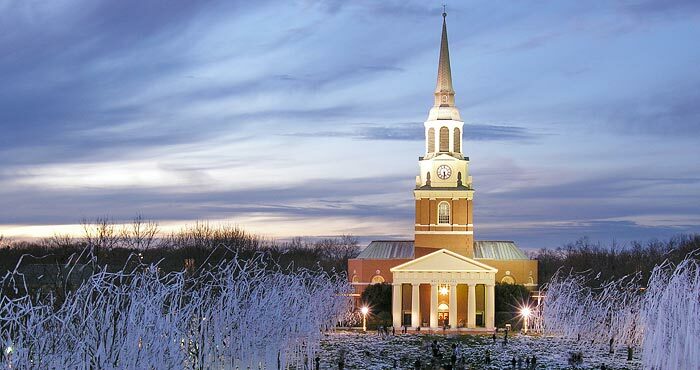 Receive a paper check mailed to their primary address on file with Wake Forest. It is the student’s responsibility to have all addresses updated correctly with the respective Registrar’s Office. Student Financial Services does not disburse paper student refund checks from their office in Reynolda Hall. All refunds are direct deposited or sent to the student’s primary address in the form of a paper check. Wake Forest encourages students to utilize direct deposit. This will provide students with a convenient and secure way to access their funds faster. Step 2: Enter your banking information under the ‘Accounts Payable Payments (Expense Reimbursements & Student Account Refunds)’ section of the form. If a student does not enroll in direct deposit, then their student reimbursement and student account refunds will be mailed to their primary residence in the form of a paper check. Student Financial Services does not disburse paper student refund checks from their office in Reynolda Hall. All expense reimbursement and/or student refunds are direct deposited or sent to the student’s primary address in the form of a paper check. If a student elects a paper check then their primary address needs to be correct with the appropriate Registrar’s Office. After Student Financial Services’ processes the reimbursement, direct deposits can take up to two business days from the Tuesday or Thursday processing date to be delivered to banking institutions based on individual bank processes. If a student’s banking account information changes, they will need to access WIN and make any necessary changes immediately.